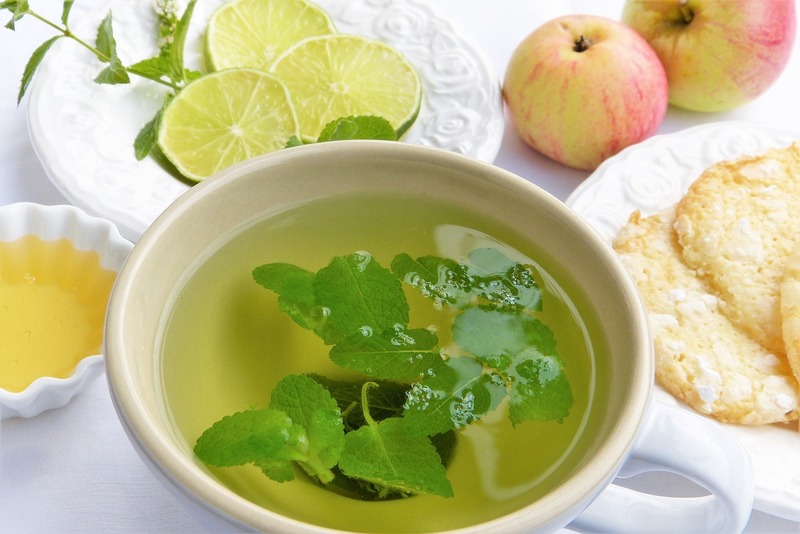 Lemon balm tea offers a brisk, tart flavor that makes this herbal tea an instant hit. 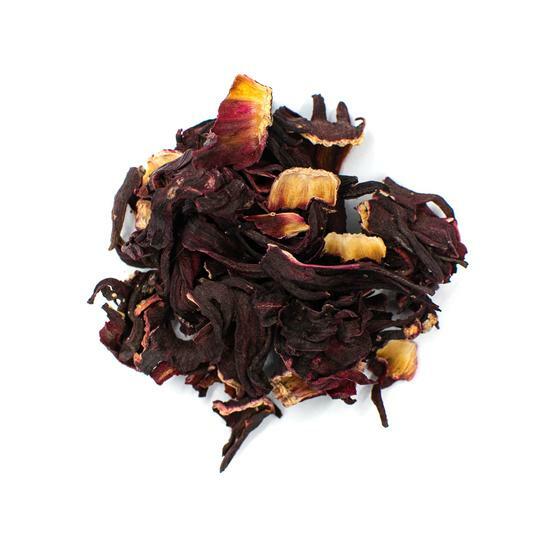 Commonly known as Melissa tea, this exquisite beverage pairs well with a variety of herbs and sweeteners so you can play up the flavor and discover new tastes. Here, we’ll show you the basics of lemon balm tea and how you can brew up a cup using homegrown lemon balm. 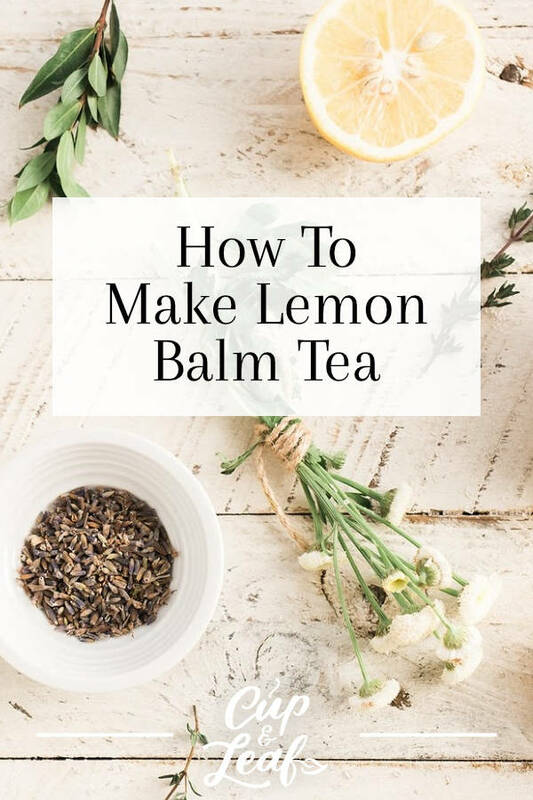 You’ll learn about the health benefits, flavor profile, and techniques for harvesting so you can brew the best cup of lemon balm tea. 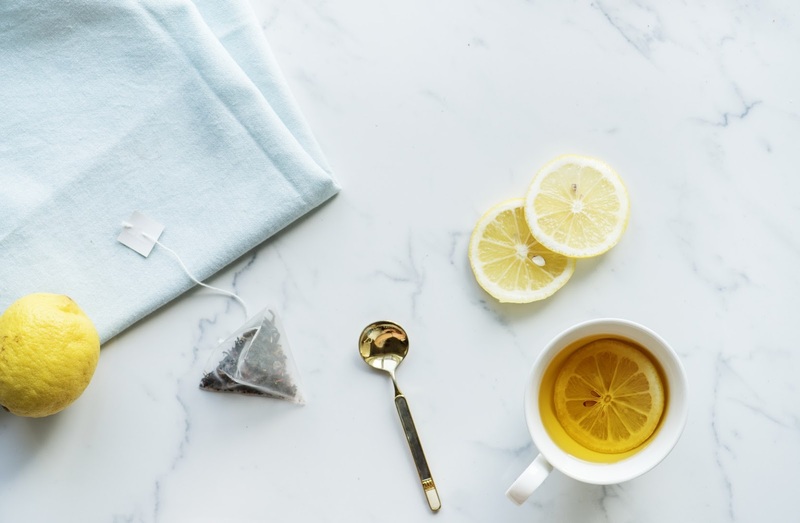 Read on to find our favorite lemon balm recipes and discover the flavor of this lemony and minty tea. Lemon balm tea is an herbal tea made from the plant known by the botanical name Melissa officinalis. The plant is also frequently called common balm and balm mint. Lemon balm has a long history of culinary use dating back to the times of the Ancient Greeks. The lemon balm plant is native to Europe and Africa along the Mediterranean region. 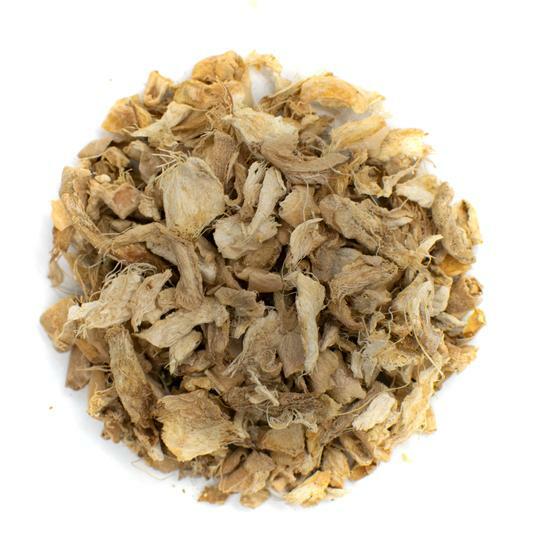 It is has been used for centuries in this region as a natural herbal remedy. Some purported health benefits of lemon balm tea include stress reduction, infection prevention, and improved sleep. Studies also show that lemon balm tea may help reduce anxiety and depression by targeting the nervous system (1). 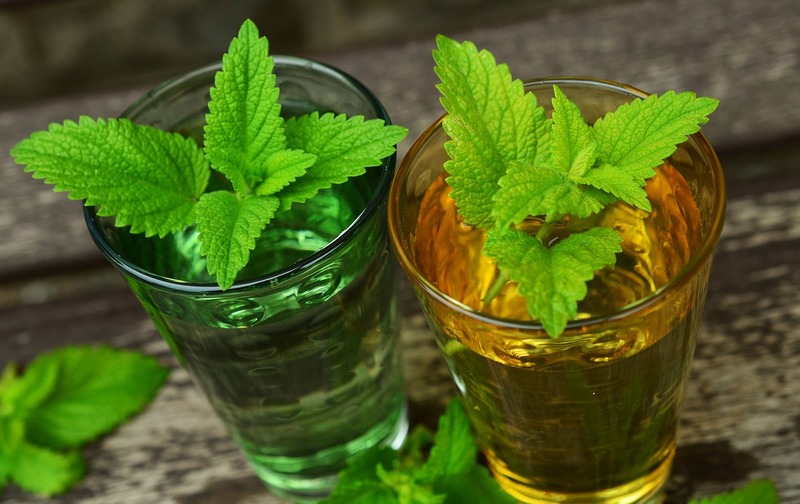 Additional research shows that drinking lemon balm tea may help reduce blood pressure and protect the heart from serious cardiovascular disease (2). Lemon balm belongs to the mint family and features a refreshing citrusy flavor with hints of mint. 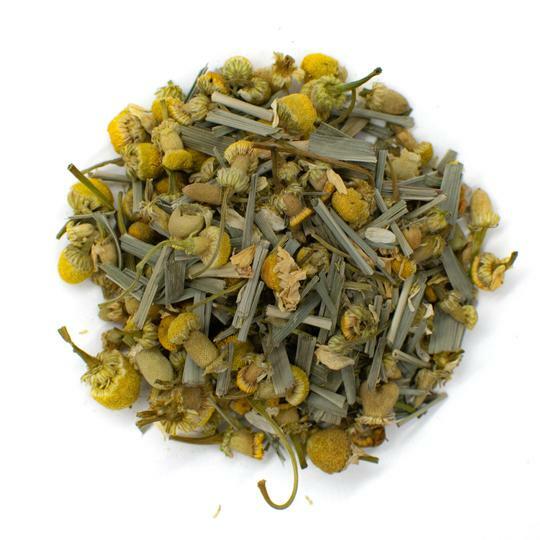 This tea offers a lemony flavor that is brisk and tart. This herbal tisane benefits from the addition of raw honey from honey bees, agave syrup, and a dash of lemon juice. Homemade lemon balm tea can be made using fresh leaves or dried leaves right from lemon balm plants in your own backyard garden. If you choose to use dried leaves, start by harvesting fresh leaves from the plant. Only harvest leaves from organic lemon balm [plants to preserve the natural flavor and avoid negative side effects from chemicals and fertilizers. It's best to harvest the leaves just before the plant begins to blossom. The plants have the highest amount of healthy antioxidants and essential oils at this time resulting in better flavor. Harvest season typically occurs in late spring or early summer but can vary depending on your region and climate. Cut the lemon balm leaves at the stem just above the second row of leaves. Pruning the plant this way will encourage new shoots to grow, thus increasing the potential for harvest yields. 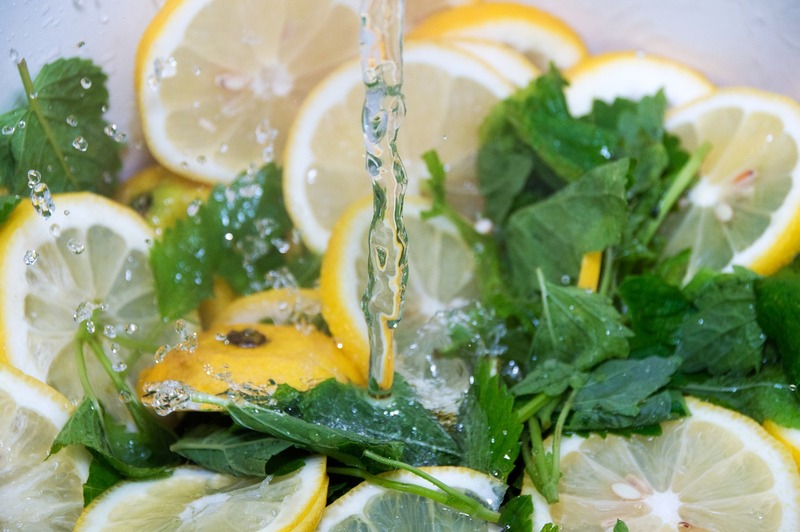 Rinse the fresh lemon balm leaves using cold water and lay out to dry on a baking sheet. You can also gather the leaves in bundles and hang dry them by tying them from a clothesline. Once completely dry, store the dried leaves in an airtight container or a brown paper bag and leave in a dark place. Dried lemon balm can be stored for several months and still maintain top-notch flavor. 1. 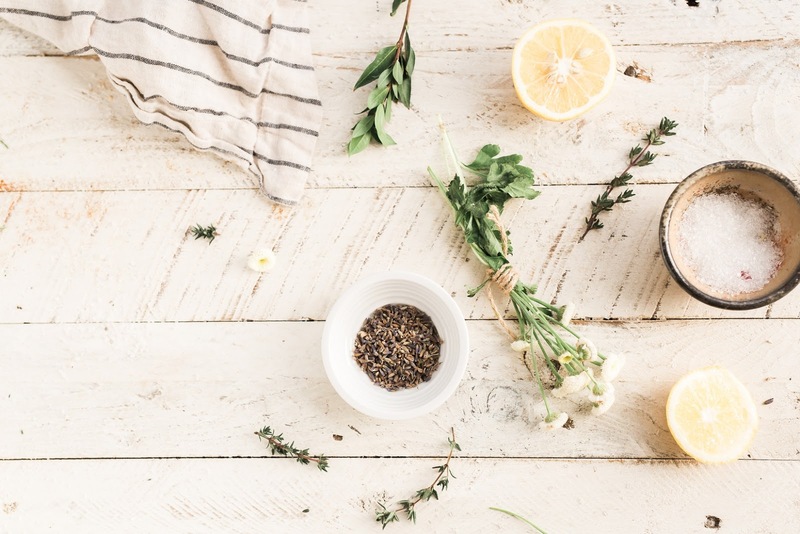 Add the fresh herbs to a tea strainer or tea ball and place in a standard-sized teacup. 2. Bring water to a boil in temperature controlled kettle or a large pot on the stove. 3. Pour the hot water into the teacup and allow the lemon balm leaves to steep for 5 to 10 minutes. 4. Remove the tea strainer and sweeten with honey, sugar, or agave if desired. 1. Fill the glass container with cool water and add the lemon balm leaves. 2. Place the container outside in direct sunlight. Leave for 3 to 4 hours to allow the tea to steep. 3. Pour directly into teacups and serve with ice cubes for a delightful iced tea. 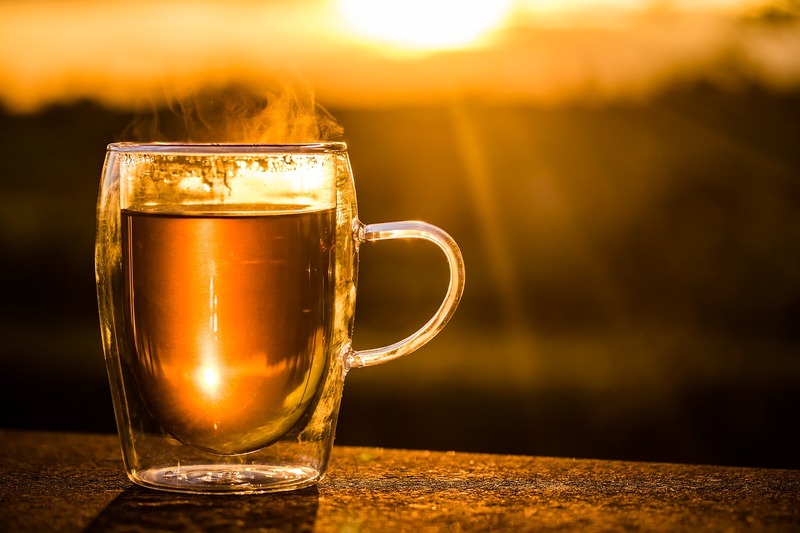 Add a little fire to your tea drinking experience with this recipe that features a dash of cayenne pepper to liven things up. 1. Bring water to a boil in a large pot on the stove or in a tea kettle. 2. Add the cayenne pepper and tea leaves and allow to steep for 5 to 10 minutes. 3. Add the muddled apple to a teacup and pour the tea mixture on top. 4. Stir well and enjoy the lemon flavor piqued by the spicy nature of cayenne and sweetened by the mild apple flavor. Whether you choose to make lemon balm tea using dried or fresh leaves, you're sure to enjoy the delightful flavor profile of this beverage. 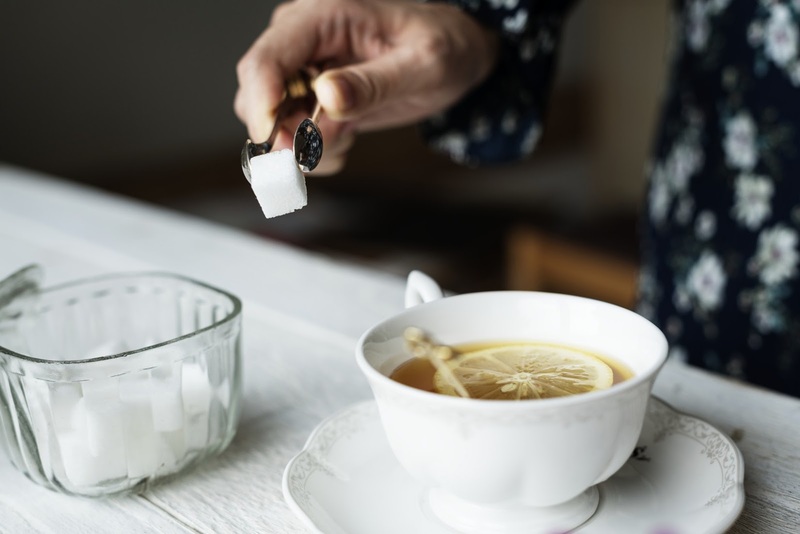 Pair it with your favorite medicinal herbs or sweeten it using a dash of honey or a teaspoon of sugar.